Dr Zhengtong Xie is Associate Professor (Senior Lecturer) within Engineering and Physical Sciences at the University of Southampton. 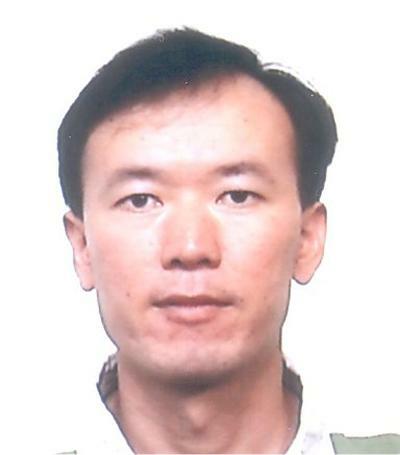 Zheng-Tong Xie's expertise is in Aerodynamics and Computational Fluid Dynamics (CFD), with a focus on large eddy simulation applied for various physical and application areas. He is currently Senior Lecturer in the Aerodynamics and Flight Mechanics (AFM) research group. He is also currently a member of the UK National Centre for Atmospheric Science (NCAS) and the Principal Investigator of Urban CFD project at the University of Southampton. Zheng-Tong Xie has won awards from EPSRC and NCAS/NERC, an EPSRC CASE Studentship from Arup, and some small contracts from industry. One of his papers was awarded the outstanding paper by the China Association for Science and Technology in 2005. He was awarded a Fellowship of China Postdoctoral Science Foundation in 1997. He was awarded a number of scholarships during his studies at Shanghai Jiao Tong University. So far he has published more than 30 papers in leading journals with more than 650 citations on Google Scholar (as of March 2014). He is a Fellow of the Royal Meteorology Society, and an Executive Committee member of the UK Wind Engineering Society. In 2012 he co-organised the UK Wind Engineering Conference and has been session chairman and scientific committee member in a number of international conferences and workshops. Zheng-Tong Xie studies for a Bachelor degree in Engineering Mechanics from 1986-1990 at Shanghai Jiao Tong University (SJTU). He did his Masters degree in Aerodynamics in 1990-1992 (thesis: A numerical simulation of the unsteady response to a gust for a wing-tail combination) and a PhD in Hydrodynamics from 1992-1995 (thesis: Numerical simulations and water tunnel experiments for modelling hydrodynamic characteristics of cavitating axisymmetric bodies at small angles of attack), both at SJTU. He moved to Beijing to work as a Post Doctoral Researcher and was then promoted to Associate Professor at the Institute of Mechanics, Chinese Academy of Sciences, working on Large Eddy Simulations for Environmental Flows (1995-2000). He has been continuing working on Large Eddy Simulations for Environmental Flows and Wind Engineering Problems since then. From 2000 to 2004 he took up a position as Research Fellow in the University of Surrey. He moved to Southampton as a Senior Research Fellow in 2004. Large-Eddy Simulation for flow, scalar dispersion and heat transfer over a group of bluff bodies. Coupling between large-scale geophysical flow and small scale turbulent flow, e.g. weather scale flows and street scale flows. New approaches (e.g. inflow boundary conditions, near-wall treatment) for Large-Eddy Simulations; hybrid LES. Thermal stability of urban boundary layer and its structure. Castro, I. P., & Xie, Z-T. (2009). LES for modeling the urban environment. Physics of Fluids, 78, 4-10. Li, J., & Xie, Z-T. (1999). Large-eddy simulation for canopy turbulent flow. Acta Mechanica Sinica, 31(4), 406-415. Chen, Y., Djidjeli, K., & Xie, Z-T. (2018). Large eddy simulation of flow past a bluff body using immersed boundary method. In 6th European Conference on Computational Mechanics (ECCM 6) & 7th European Conference on Computational Fluid Dynamics (ECFD 7) ECCOMAS. Chen, Y., Djidjeli, K., & Xie, Z-T. (2018). Large eddy simulation of flow past a forced oscillating square cylinder. In 13th UK Conference on Wind Engineering, Leeds, 2018 Wind Engineering Society. Xie, Z-T., & Voke, P. R. (2004). Connectivity of concentration clouds in turbulent flows. In Recent Advances in Fluid Mechanics - Proceedings of the Fourth International Conference on Fluid Mechanics Tsinghua, China: Tsinghua University Press & Springer-Verlag. Xie, Z. T., Voke, P. R., Hayden, P., & Robins, A. G. (2004). LES and extreme value theory - modelling the upper tail of the PDF of concentration in turbulent dispersion. In F. Rainer, B. J. Geurts, & O. Metais (Eds. ), Direct and Large-Eddy Simulation V. Proceedings of the Fifth International ERCOFTAC Workshop on Direct and Large-Eddy Simulation (pp. 323-332). (ERCOFTAC Series; No. 9). Dordrecht, The Netherlands: Springer. *CFD Surgery is is an independent module running for 12 sessions each semester. It is open to all the CFD (Fluent, Star-CCM+, CFX, OpenFOAM, etc) users in SES, in particular the PG and UG (year 3 and year 4 )students, which mainly aims to help their related problems in courses or projects.